The advent of modern multicore machines, comprising several chip multi-processors each offering multiple cores and often featuring a large shared cache, offers the opportunity to redesign the architecture of service composition engines in order to take full advantage of the underlying hardware resources. 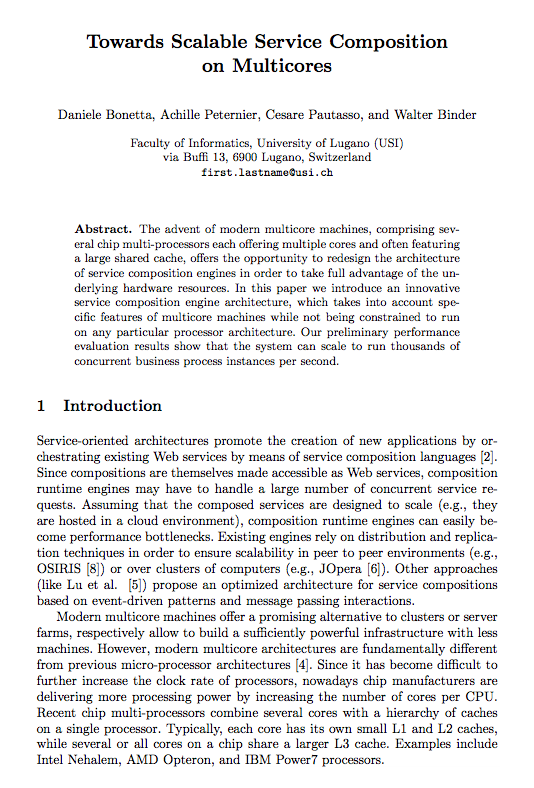 In this paper we introduce an innovative service composition engine architecture, which takes into account specific features of multicore machines while not being constrained to run on any particular processor architecture. Our preliminary performance evaluation results show that the system can scale to run thousands of concurrent business process instances per second.